At first I loaded up the site with a ton of windows/programs open and the scroll transitions were super sluggish. So I gave it a day and so glad I did. 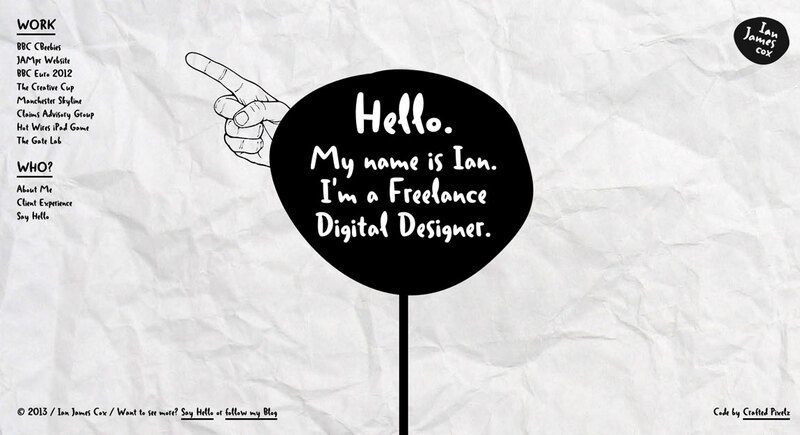 Ian’s unique layout portfolio makes beautiful use of the ScrollPath jQuery plugin. He has also pulled off angled selectable text quite well which is a royal pain to get crisp. Great job Ian!